Sidney Marenkovic is a sophomore at Hubbard High School and a first-year member of the HUB. Sidney joined the HUB staff because she believes it will be a good way to improve her writing abilities and share her thoughts on various topics with others. She has an interest in writing about performing arts such as dance, and other activities in which she and her peers are involved. Sidney is committed to various activities in and out of school. She has been enrolled in all honors classes since her freshman year, and is also a part of the French and Ecology Clubs. Sidney is a new member of the Wind Ensemble and a second-year majorette for the Hubbard High School Marching Band. Outside of school, Sidney participates in competitive and recreational dance at J&J’s Dance Depot. In addition to being a dancer herself, Sidney enjoys being able to instruct young children at her dance studio as an assistant teacher. In her upcoming high school years, Sidney hopes to maintain her 4.0 GPA and be a part of the Academic Top Ten at the conclusion of her senior year. Although she is not sure about what college she wants to attend, she knows that after high school, Sidney would like to study prosthetics or anesthesiology. She feels that her dedication will further her education and willingness to help others in the future. 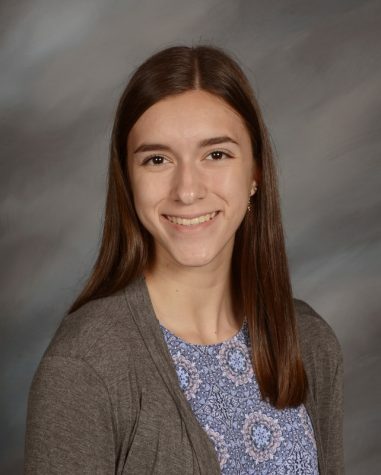 As a member of the HUB staff, Sidney is looking forward to being able to write about topics that interest and inform her and the other students of Hubbard High School.